New York, United States – Deontay Wilder will defend his WBC heavyweight crown against Dominic Breazeale in May following the collapse of his proposed rematch with Tyson Fury, it was confirmed on Tuesday. Unbeaten heavyweight champion Wilder will face Breazeale on May 18 at New York’s Barclays Center after being ordered to make the defense by the WBC earlier this month. “I’m very happy that I get a chance to get a mandatory out of the way, because I consider mandatories like flies buzzing around my head,” Wilder told a press conference in New York on Tuesday. Wilder (40-0-1, 39 KOs) will be making his ninth title defense against Breazeale, who has 20 victories and one defeat, including 18 knockouts. The hard-hitting 33-year-old Wilder will start as a heavy favourite to defend his title against Breazeale, who vowed to deliver an explosive challenge to the champion. 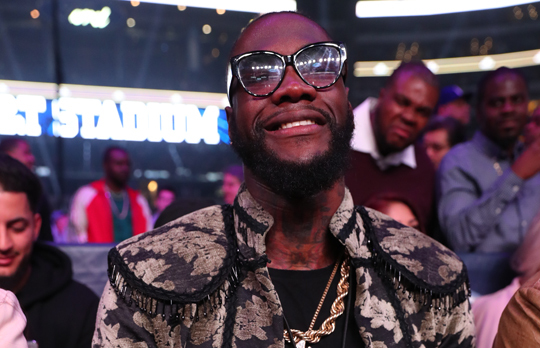 Wilder had been in negotiations for a rematch with Britain’s Fury after the two men fought an epic draw in Los Angeles last December which reignited interest in the heavyweight division. Hopes of a swift rematch however were left in tatters when Fury signed a multi-fight deal with the ESPN network last month.